Not long ago, the Norwegian airline Wideroe announced a new direct connection from Tromsø and Oslo to the Lofoten Islands, starting in spring 2017. This is good news not only for tourists but also for those like me who live up north. You see, Northern Norway is an incredibly big area. The region consists of three counties: Nordland, Troms and Finnmark which together make up an area of 112,951 km2 - more than half of the length of the entire country. In fact, according to this video, the region of Finnmark alone is almost as big as the 7 Southern Norwegian regions Telemark, Vestfold, Buskerud, Møre og Romsdal, Akershus, Oslo and Østfold together! Now you see that travelling within Northern Norway is expensive and strenuous and the cost of going abroad often equals or is even cheaper than the cost of travelling within the Arctic Circle. Simon and I have thought about going somewhere for the weekend countless times but always end up staying at home anyway as it's just too expensive to travel anywhere from Tromsø and we don't have a car. Of course, my frustration about living at the end of the world and having a serious case of wanderlust should not be the topic of this article. I rather would like to present a few options to you that make it easier for you to plan your holiday up north. If you're a first timer to Norway, I can only recommend you to visit the Lofoten Islands. This Arctic archipelago is basically Norway in a nutshell - fjords, mountains, trolls, Northern Lights, sandy beaches, farmlands - this region has everything you ever dreamt of seeing in Norway! The Lofoten Islands are best reached via Bodø, a charming seaside town where you should plan in a day to visit the Norwegian aviation museum, take a stroll along the harbour and maybe even go for a hike. Bodø can be reached by plane from Oslo, Bergen, Trondheim and Tromsø directly and there also is a night train connecting Trondheim with Bodø. If you've got money to splurge, you can also take the Hurtigruten cruise ship from Bergen or Tromso but since the coastal steamer also stops in Svolvær in the Lofoten Islands, it wouldn't make much sense to stop in Bodø so rather head towards Lofoten directly in that case. If you do however stop in Bodø, your possibilites to get to Lofoten are practically endless. There is an express boat to Svolvær, a ferry to Moskenes and Røst, and also direct flight connections to Leknes, Svolvær and Røst again. Once arrived in Lofoten, the easiest way to get around is by car and you could for example head to Svolvær first, rent a car and drive all the way down to Moskenes before heading back to Bodø. Roadtripping the Lofoten Islands is the best way to explore the archipelago in my opinion and there are thousands of scenic viewpoints to stop at and take pictures. If you'd like to experience the beauty of the Arctic Circle in a nutshell, you should consider taking the train from Norway into Sweden. I've recently taken that journey myself and even though it was not the smoothest trip ever, it was certainly one of the most beautiful train journeys I've ever experienced! 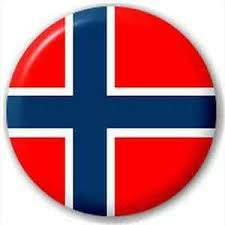 Fly into Narvik from Bodø or head towards the Harstad/Narvik airport from Oslo, Trondheim or Tromsø directly. There is also a bus from Tromsø to Narvik which takes around 4 hours. From Narvik you then take the train to Abisko National Park or Kiruna in Sweden. Abisko is known as the gateway to Lapland and Kiruna is an old mining town that soon is moved to expand mining. If that doesn't sound like something to discover! Tromso - the Paris of the North - is a very charming city with lots to discover. However if you do get bored or if you just want to explore the nature and landscapes of Northern Norway, you should definitely rent a car. You could head toward the Lyngen Alps or even the Finnish border. The Alps are popular among hikers and skiiers and the Finnish border around Skibotn is considered as one of the best places to spot the Northern Lights in the area when the weather is bad. Or head to the whale island Kvaløya to spot some whales and Northern Lights in winter and reindeer during summer! Tromsø can be reached directly from Oslo and during the winter months also from Stockholm and London, as well as several places in Norway itself. If you just plan on staying in the city and go on guided tours however, you don't need to rent a car and can easily get around by using the local busses or taxis. Alta is a popular place for tourists who come to see the Northern Lights in winter. The city is situated even further north than Tromsø and calls itself "City of Northern Lights". Now you could stay in town, go dog-sledding, stay at the local igloo hotel and wait for the Northern Lights to show up. There are direct flights from Tromsø and Oslo and a bus connecting Alta with Tromsø. Or you could explore the surrounding area. Alta is actually also known as the gateway to Finnmark which means that you can not only experience Sami culture, try reindeer meat or go on a reindeer sleigh ride - you can also head to Hammerfest, the oldest town of Norway, or to the North Cape. The North Cape is known as the northermost point of Europe and even though that's not exactly true for several totally unimportant reasons, it certainly is a very remote place! You could rent a car and head towards Hammerfest or Honningsvåg (the closest town to the cape) yourself or you could take the bus or express boat from Alta to Hammerfest and get onboard of the Hurtigruten cruise, and if you think you've seen enough (never! ), head to Tromsø, Trondheim or Bergen. To conclude, yes getting around Northern Norway can be quite expensive and time-consuming. However if you decide on where you want to go and book your tickets well in advance, you could save lots of money. Also, taking the bus or train is often much cheaper than taking the plane. 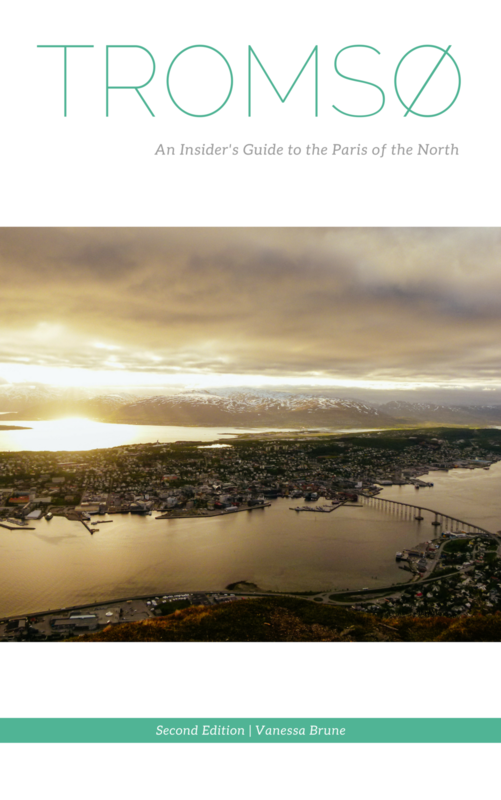 PS: Are you interested in an insider guide to Tromsø or free Nordic wallpapers?